You ever get an "Ahhh" moment, you know when you finally realize why something works together, for instance, due to the narrow range of power in a combustion engine, an engine needs gears to maximize the use of the power band or you could stay at 0, thinking of riding your bicycle with no gear changes .. So here comes the memo Jaguar and a V8 5.0L is an "Ahhh" moment these two are meant to be together when you hear the roar from the at the start and the snarl as it reaches its peak horsepower it is one of the moments where the car name and engine fit. So when the F-Pace was released with a less potent Supercharged V6 offering for it's R Line model there were some "Huh" moments. The pair worked for the new public who wanted an SUV but what about the true JAG enthusiasts, the let me hear you roar type of folks. 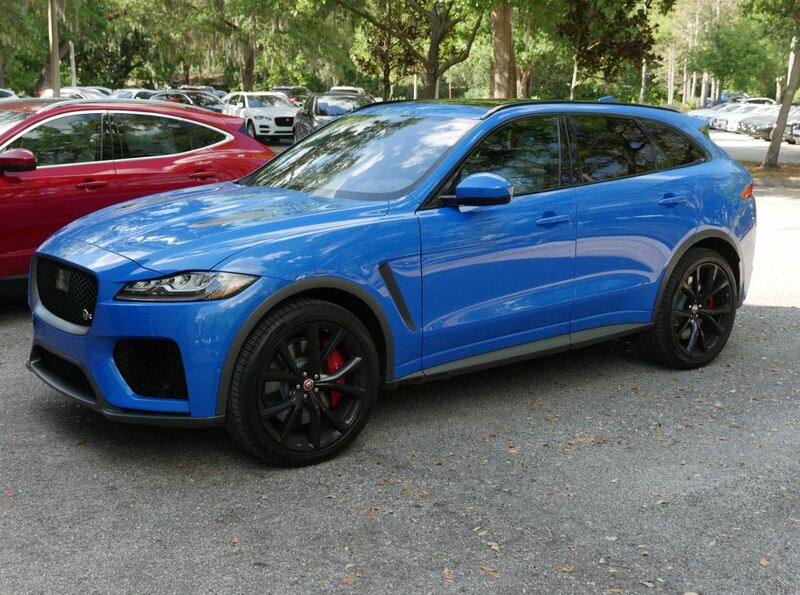 Introducing one of the first JAG F-PACE SVR's to hit the US Soil in the flesh, when the team at Special Vehicle Operations (SVR) gets their hands on a V8 they make something special case in point the only other Jaguar to wear this badge is the F type SVR which is capable of neck-breaking speeds of 200+ MPH added in with the upgraded suspension extras that help you Navigate tracks around the world with PACE. Hence comes the compromise where your family or friends need a ride, and the little coupe doesn't make sense in comes the F-PACE SVR with a familiar V8 snarl coming with track capability and room for luggage plus dogs. It's a long list but not with a long price when you look at the competitors it is quite a small bucket but the crowd is getting thick. The F PACE SVR is a statement to the field that this small niche brand is here to stay and ready for battle and all things considered when it comes to looks, sound, and now sports drivability the F-Pace may rule the roost. Price point starts at $80K loaded be advised a similarly equipped Benz GLC 63 AMG will run you $87K with less space and less swagger the decision is yours.